dining set with paint and stain. Take a look at pretty fabric on the chairs. Wait until you see this adorable pallet table made by Tammy at One More Time…Events. 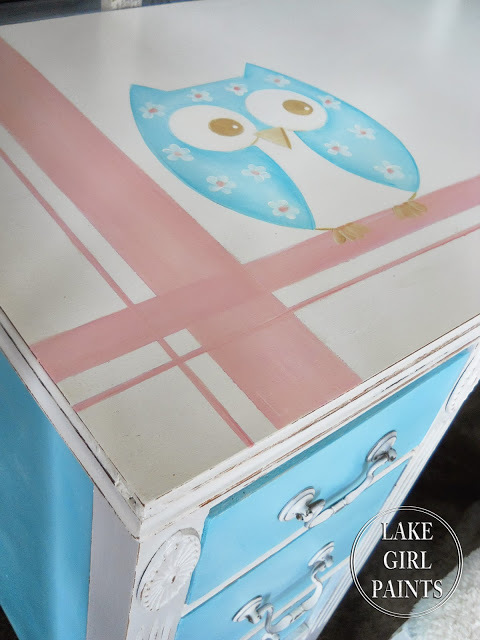 How cute is this little girls bedroom set painted by Deb at Lake Girl Paints ? 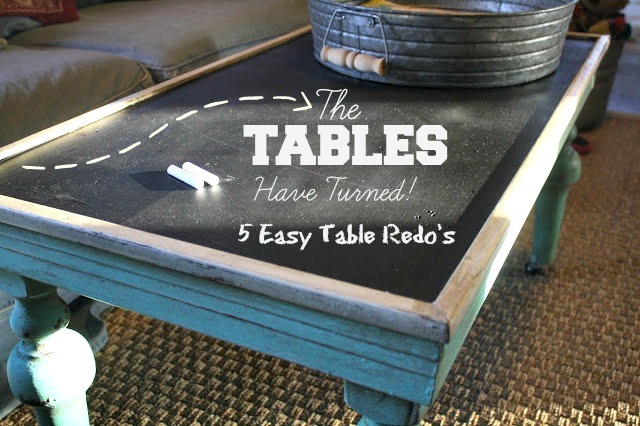 Lori at Big Story To Tell shared five easy and wonderful table redo’s. my button from the sidebar. Thanks for the party Sherry – beautiful features – I missed a couple of them so off to visit now! Such great features, thanks so much for hosting, it's always such a pleasure! hi Sherry! How's the house hunting coming along? Thanks so much for hosting during this busy time! Thanks for hosting, Sherry. Great features. Enjoy the rest of your week. Thank you so much for hosting and allowing me to join in. Lovely features Sherry! Thank you for hosting this awesome party! I'm always enthralled with all the creativity I see each week in your linky party. Thanks for hosting! Thsnks for hosting, Sherry. Love being part of your party! I so enjoy your party-thank you ever so much! Thanks for hosting. It looks like there are a lot of great ideas. HI Sherry, love joining in with No Minimalist Here. Always a treat, thank you for hosting. Have a great week. Thanks for hosting. Hope you enjoy the rest of your week! Thank you for hosting-a lot of great ideas here! Thanks so much for hosting, Sherry! Have a great Thursday! Thank you for hosting this awesome party. Have a great week. Sherry, sorry to be late linking up. Time got away from me. Great features! Hi Sherry! I am joining your party for the first time! I am also a new follower on GFC. Please visit if you have a moment! Thanks for hosting! Sherry, Thanks for hosting a wonderful party! Love all the features! Dear Sherry it was so good to see you come and visit! it seems like there has been so much to keep up with lately! I love to see all of the creativity at your parties and I hope to get back to my artful self soon! 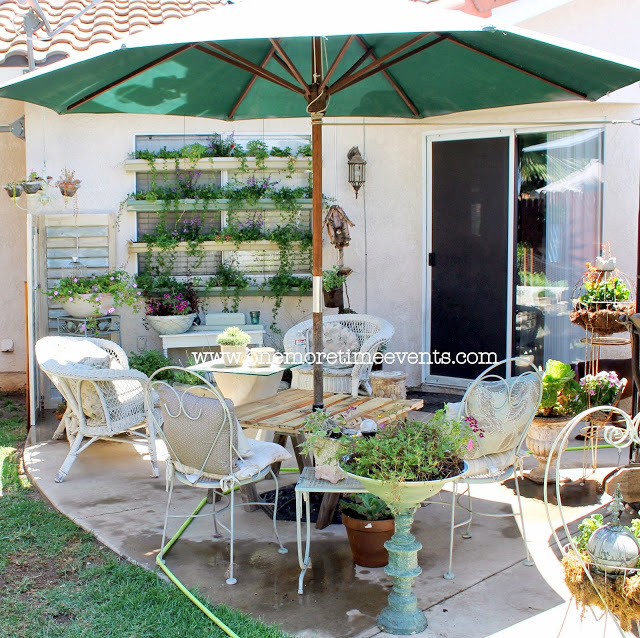 Sherry, Thank you so much for featuring my Outdoor Pallet Table.. most of all thank you for hosting such a great party!